Rated AV Preeminent by Martindale Hubbell, Jon is an accomplished land use attorney, trial lawyer, and coastal property rights advocate. 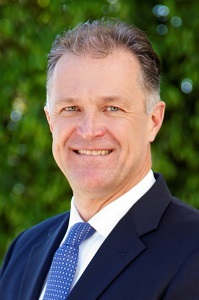 Over his 25-year career, Jon has represented hundreds of property owners to obtain coastal development permits, resolve code violation disputes, conduct acquisition due diligence, and litigate claims involving property rights and civil disputes. 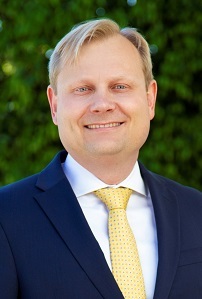 A formidable and skilled trial lawyer, Jon has successfully prosecuted and defended dozens of cases before juries and judges throughout California, including cases involving the California Coastal Commission, real estate fraud/misrepresentation, property disputes, density bonus law, insurance bad faith, lemon law, writs involving CEQA and the California Coastal Act, and serious personal injury. Jon is also a real estate developer and holds a California real estate broker’s license. Most projects involve subdivision mapping and entitlement projects utilizing the State Density Bonus Law. This experience gives him unique insights into the extreme challenges facing California developers, especially in the Coastal Zone. He lives in Del Mar, California with his wife and 3 sons. 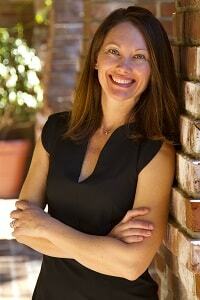 A Southern California native, Lee is experienced in land use, coastal property rights, and litigation. 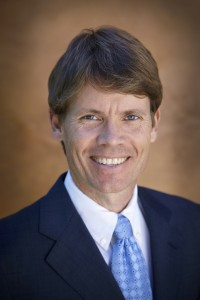 Previously he was a member of one of Arizona’s preeminent litigation and land use firms, successfully representing businesses and individuals in complex disputes in state and federal courts and arbitration proceedings in Arizona, California, and across the country. He has assisted in the recovery of hundreds of millions of dollars for clients collectively. Before attending law school, he worked for three years in software development. He is fluent in Portuguese and loves to do anything outdoors. Lee lives in Carlsbad, California with his wife, five children, and two dogs. 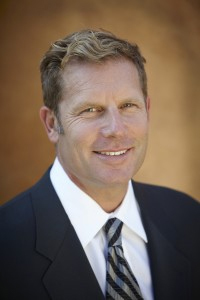 Anders has lived in San Diego with his family since 2000, and loves taking advantage of the many outdoor activities it has to offer, including ocean swimming, surfing, cycling, and trail running. He has raced in hundreds of triathlons and other endurance events, including the 1993 Hawaii Ironman World Championship, and is a longtime supporter of the San Diego based Challenged Athletes Foundation charity (CAF). Anders has traveled extensively, particularly in Europe and Scandinavia, and is fluent in Norwegian. Ms. Spangler represents individuals, businesses and professionals in real estate, professional liability, business litigation and personal injury disputes. She has successfully litigated many high risk and complex civil lawsuits and argued before the California Court of Appeal. In 2015 and 2016, the San Diego Business Journal included Ms. Spangler as a finalist in its peer nominated "Best of the Bar" list. 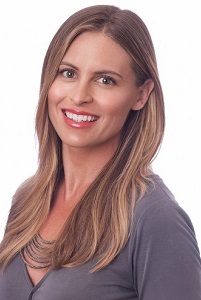 A 2003 graduate of the University of San Diego School of Law, Ms. Spangler was raised in Encinitas, graduated from San Dieguito High School and holds a dual Bachelor of Arts degree in Political Science and Journalism from Pepperdine University. Before she decided to pursue a law degree, Ms. Spangler worked in public relations in Los Angeles, where she represented high profile restaurants, hotels and local business improvement districts. 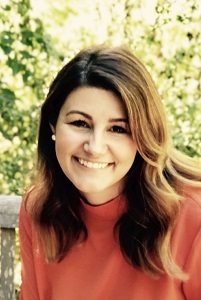 As an undergraduate student, Ms. Spangler served as a media and constituent relations intern in the United States Senate in Washington, D.C., and spent a semester in Florence, Italy, studying art history and Italian language. In law school, she studied international and comparative law in Barcelona, Spain and London, England. Ms. Spangler is a member of the J. Clifford Wallace chapter of the American Inns of Court, Lawyers Club of San Diego, San Diego County Bar Association, Association of Business Trial Lawyers, Carlsbad Chamber of Commerce and Pepperdine University Alumni Association. She enjoys photography, exploring local trails and beaches, traveling and spending time with family and friends. Ms. Spangler lives in Carlsbad with her husband, their two young daughters and yellow Labrador Retriever. Fuerst v. Kirby, California Court of Appeal, Fourth Appellate District, Case No. D064385 (Aug. 21, 2014), unpublished. Ecolite Concrete USA, Inc., et al. v. G.S. Levine Insurance Services Inc., California Court of Appeal, Fourth Appellate District, Case Nos. D064178, D064917 and D064918 (Dec. 31, 2014), unpublished. Ms. Spangler is Of Counsel to the Firm. Mr. Axelson is a 1991 graduate of the University of Minnesota Law School. He specializes in a wide range of business and consumer civil litigation. Mr. Axelson has over 20 years of litigation experience representing large and small corporate and individual clients in the areas of commercial and individual business disputes including tort, warranty and products liability law. Mr. Axelson has experience in all aspects of civil litigation including over 50 jury and/or bench trials in both state and federal court, numerous arbitrations, and several appellate matters. Mr. Axelson began his career in 1991 in the litigation department at Sheppard, Mullin, Richter & Hampton where he handled a variety of matters in the areas of unfair competition, fraud, defamation, and other tort related actions, creditor’s rights, mortgage banking, lender liability, commercial law, construction defect and environmental law. 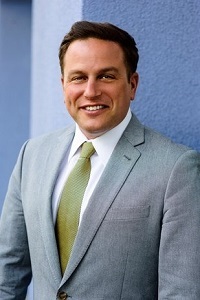 In 2001, Mr. Axelson joined the law firm of Gates, O’Doherty, Gonter & Guy where he continued his business litigation practice specializing in warranty and products liability law, fraud and tort based business and consumer disputes, and insurance defense. Mr. Axelson is now Of Counsel to The Jon Corn Law Firm. Erin is an entitlement specialist and land analyst. She has a creative design eye, and thoroughly understands and enjoys the entitlement and construction process. She also works with David Santistevan’s Land Advisory Group to undertake project due diligence and cost estimation. She has worked as a project manager for Standard Pacific Homes, Centex Homes, and Shea Homes. Erin grew up in a local real estate development family. Her father, Kirk McKinley, is a well-known architect who has designed homes for numerous subdivisions in San Diego County. Her mother, Laurie Madigan, was the Chula Vista City Planner for many years. Ms. Slaven is a City Planner and Project Manager with over fifteen years of experience in current and long-range planning for the cities of San Diego, Goleta, Irvine, Mission Viejo, San Clemente, Newport Beach as well as for private sector firms. Chandra brings with her a comprehensive knowledge of coastal development permitting, regulatory policy planning, public outreach and facilitation, general plan, zoning, and CEQA compliance. She has an excellent reputation for managing and delivering both project and community-wide planning initiatives within scope, budget, and schedule. She accomplishes this through her ability to influence, interact, and forge solid relationships with stakeholders at all levels. 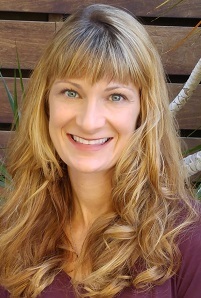 Chandra hold’s a Master Degree in City and Regional Planning from Cal Poly, San Luis Obispo, a Bachelor’s Degree in Political Science from UC Santa Cruz, is a certified planner with the American Planning Association, and is a LEED Accredited Professional. 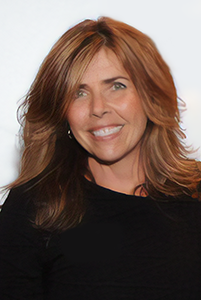 Tammy has 25-plus years in business development, project management and sales and marketing, with a focus on developing and implementing turnaround strategies for small to mid-size companies. Most recently, she was Custom Events Director for Dwell Media where she set sales records for Dwell On Design, America’s largest design event. Tammy is accustomed to successfully juggling multiple projects and has an excellent track record of building new business, forging strong relationships with clients, developing partnerships, and increasing revenue through innovative and creative strategies. She believes the major contributor to this success is her talent as a persuasive communicator; someone who can speak to clients in terms they understand, while meeting objectives for the brands she represents. She works well in team-oriented environments and finds the challenges of a business start-up stimulating. In addition to Tammy’s experience and energy, she brings an extensive business knowledge to any project, making valuable contributions for companies to build their audiences and grow their brands. Cristy is a legal assistant and paralegal. She graduated from the University of Colorado at Boulder with a Bachelor's Degree in Political Science. In 2009 she received a graduate paralegal certificate from the University of San Diego and has since been working in the legal field. Additionally, she has been involved in the local real estate market since obtaining her California real estate license in 2007 making her a valuable member of the team. Cristy is a San Diego North County native and currently lives in Del Mar. She enjoys interior design, exploring new commercial development and restaurants, hiking, traveling and spending time with friends and family. Andrew has over 15 years of experience in accounting and business management and has had the opportunity to work with a multitude of individuals and small businesses. His industry experience includes high net worth individuals, law, medical, entertainment, international currency trade, insurance, real estate, marketing, construction, non-profit and more. Andrew has a Bachelor of Arts from the University of Maryland with a Certificate in Accounting from UCLA, and is a Certified QuickBooks ProAdvisor. He is a member of the San Diego Regional Chamber of Commerce. Andrew currently lives in the Marina district in Downtown San Diego, and with his personal time enjoys the lifestyle that comes with it. Coastal Property Rights, Land Use & Litigation. Copyrights © 2017 All Rights Reserved by Jon Corn Law Firm.